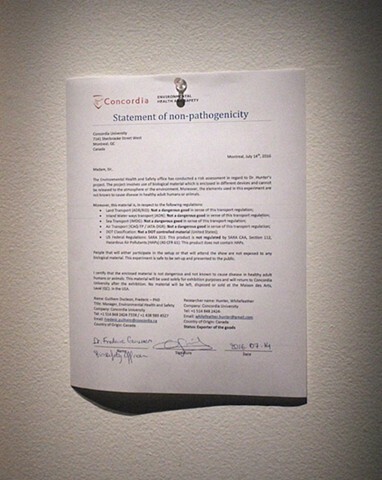 Official letter required by the gallery in order to be able to display the artwork in the Biomateria collection (live cells). In situ at Maison des arts de Laval. Part of L'art est Vivant, curated by Anne-Marie Belley.